“Imagine the power of 100,000 stories!” That’s what comes to mind for Ahmed Badr when he considers all the out-of-school children who’ve been given a voice through the work of the Luminos Fund. Upon first impression, Ahmed is unassuming, quiet, likable, and inviting, with a confident boyish charm. He gives nothing away in his gait or demeanor. No clues to indicate anything other than normalcy in his past. He appears to be a regular guy just living an ordinary life. That is, at least until he tells you the extraordinary tale of his childhood. Ahmed was born in Iraq. He remembers his feelings of excitement to stay the night at his grandmother’s house. When he was picked up by his father the next day, things felt different — something wasn’t right. Ahmed soon learned that his home had been bombed the night before by militia troops. The ripple effect of this devastation carried Ahmed and his family quite unexpectedly from Baghdad and into Syria as Iraqi refugees. Two and a half years later, they were in the United States building a new life. There was something poetic about listening to Ahmed recount his story at the Norwood Club in New York City, on a frosty evening just a few weeks ago in January. He was surrounded by the inspiring artwork of Syrian children who, currently in Lebanon, are participants in the Luminos Fund’s refugee education program. Luminos is actively working in Lebanon because we believe all children should experience joyful learning, regardless of circumstances. We see art therapy as an integral component in redeeming the joyful journey of childhood after trauma. For Ahmed, agency, empowerment, and storytelling are the three legs of a sturdy stool. 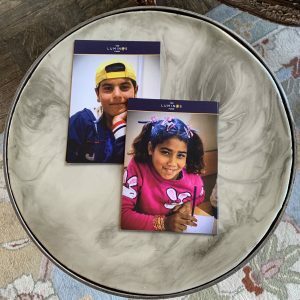 Together they provide a platform for displaced children – young people like him, like the Syrian refugees, and like the out-of-school children in Ethiopia and Liberia whom Luminos serves. A platform upon which they can stand and activate their own power and engage productively with the world. If you have not heard him speak before, you should find an opportunity to listen. Ahmed’s outlook is refreshing. Although there certainly exists no shortage of geopolitical complexity in his existence as an Iraqi American, Ahmed feels no dissonance in the parts of him that represent his early years and his current life. Instead, he believes his different vantage points equip him with a unique voice, an instrument that can help the world convert its confusion into cooperation. When he scans the room and imbibes the artwork of Luminos children, Ahmed sees victors, not victims. They have struggled, yes. Travailed unimaginable traumas. However, their knowledge, wisdom, and experiences make them vital voices in the great global discourse. They need to be heard so they can help the world step into the shoes of its better self. 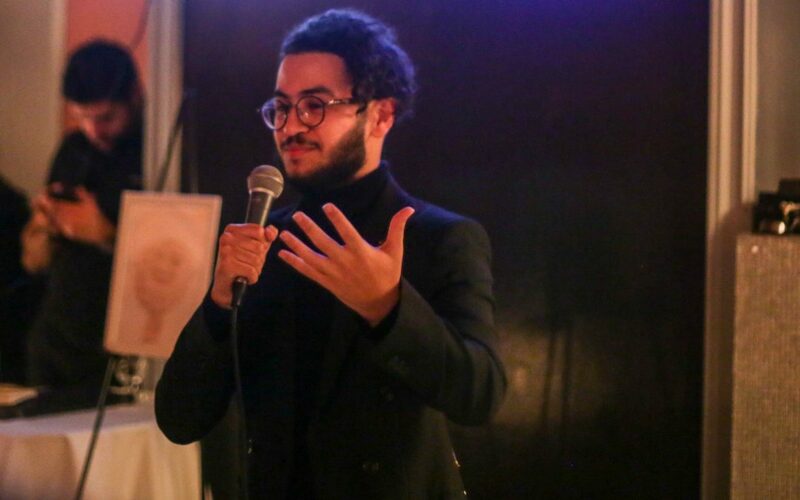 Ahmed’s current work, as a writer, speaker, social entrepreneur, and poet, is focused on accomplishing just that. Ahmed is on a crusade to help displaced young people feel valued, validated, and listened to. He wants to help activate the power that is already in them. Like the team at Luminos, Ahmed believes that the agency, empowerment, and storytelling that is born through joyful learning can help unlock the light in every child, so that every child can unlock light throughout the world. Ahmed Badr spoke at the Norwood Club in New York on January 31st, 2019. He was the much appreciated guest of the Luminos Fund, at an event very generously hosted by Madeleine Schachter and supported by docents from Christie’s. 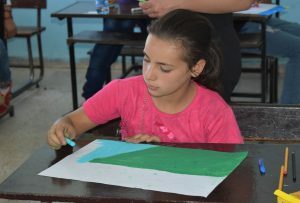 The event showcased the artwork of Syrian from Luminos’ refugee education program in Lebanon. Discover more about Ahmed Badr and his work here. Globally, the Luminos Fund has helped over 120,000 children get a second chance to learn. On June 21, 2018, we had the pleasure of hosting Kwame Akyeampong in a dialogue about second chance education courtesy of our friends at the Legatum Institute. Professor Akyeampong is lead researcher on a longitudinal study, conducted by the University of Sussex Centre for Independent Education, regarding the Luminos Second Chance program in Ethiopia. He is also an expert in education and learning for out-of-school children and the evaluation of programs that support them. The Second Chance program (Speed School in Ethiopia) is focused on primary school-aged out-of-school children living in remote areas of Ethiopia who have never attended school or who have dropped out. The Program provides children opportunity to be reintegrated into government schools after 10 months of accelerated learning instruction. It aims to improve individual learning by seeking not only faster learning but also deeper and more effective learning. The longitudinal study tracked the progress of 1,875 Ethiopian children between 2011 and 2017. A third were out-of-school children who completed Luminos’ 10-month program in 2011 and transitioned to neighborhood government schools. This test group was matched and compared against 1,250 students from Government Schools. Professor Akyeampong noted that the longitudinal study is proof that this program benefits children well into their future lives. 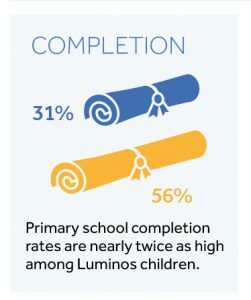 The study revealed that even six years after completing the 10-month program, Luminos children do better than their government school counterparts. They are happier, persist in school longer, outperform by more than 10 percentage points in English and Math, complete primary education at twice the rate, and have higher aspirations for further education and employment. Access the Luminos Summary of Sussex Longitudinal Study Findings here. 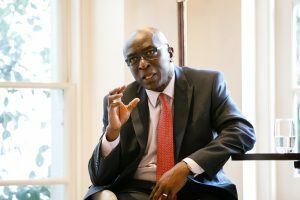 According to Professor Akyeampong, these long-term benefits are the result of the design of the Luminos program which supports smaller class sizes, nearly four times more reading hours than government schools, and a play-based, child-centered pedagogy and learning system that teaches learners how to learn. The Second Chance classes are supported by a parent engagement and self-help program that gets parents involved in their children’s learning as well as activities that mobilize the community to contribute to positive learning outcomes. Professor Akeampong made the argument that not only was this longitudinal study one of the few conducted on programs for out-of-school children, but the results also provide an important evidence base that can be built upon to inspire best practice-driven reform and investment for children who are denied a chance to learn due to poverty, discrimination, and conflict. 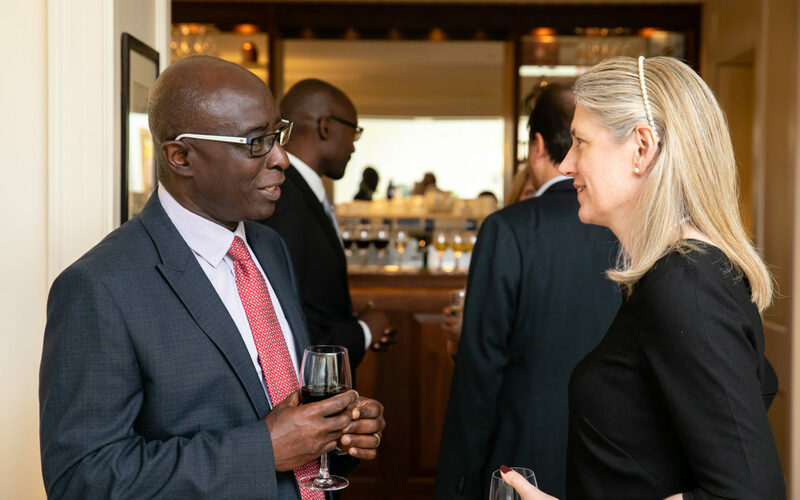 The Luminos Fund would like to thank the Legatum Institute and all our friends and guests who shared this important moment with us and Professor Akyeampong. We look forward to expanding the circle of dialogue about the importance of Second Chance education for children at the margins of society. 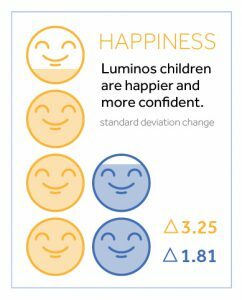 In the meantime, please take a minute to review the Luminos Summary of Sussex Longitudinal Study Findings. The Luminos Fund is a 501(c)(3), tax-exempt charitable organization registered in the United States (EIN 36-4817073).